The Billy Graham Evangelistic Association and Samaritan’s Purse are partnering with Japanese churches to bring relief to the suffering. A Samaritan’s Purse disaster relief team has arrived in Japan, and is preparing to provide relief supplies to people affected by the deadly earthquake and massive tsunami that hit the northeastern coast of the country on March 11. Staff members are on their way to Sendai, a hard-hit city that has opened 247 emergency shelters to house more than 70,000 people. Their Japanese church partners have secured trucks to distribute relief supplies and obtained permission for them to enter the disaster zone. Local Christian volunteers are being mobilized to help with the response. They will be distributing food, water, blankets, hygiene kits, and other aid to those who have lost virtually everything. Back in the U.S., they are organizing a 747 cargo jet to airlift emergency relief such as blankets, hygiene supplies, heavy-duty plastic shelter materials, and water filtration systems. The massive tsunami was triggered by an 9.0-magnitude earthquake, one of the most powerful in recorded history. Giant waves engulfed coastal towns and swept away houses, cars, boats, and trains. The quake has been followed by dozens of strong aftershocks. Officials have declared a state of emergency for a nation grieving the loss of so many lives while gripped by fear of more quakes and dangerous radiation leaks from damaged nuclear reactors at the Fukushima power station. 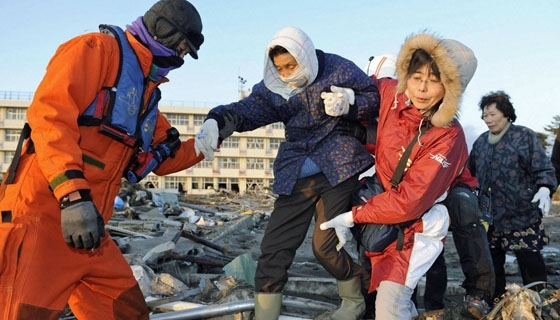 The twin disasters have devastated hundreds of towns and villages in northeast Japan. The official death toll is just over 2,400, but is expected to soar to more than 10,000. Hundreds of thousands of survivors have been left without adequate food, water, shelter, or heat as overnight temperatures drop below freezing. Please pray for the victims of this catastrophe, and for God to grant wisdom and direct the steps of relief workers as they respond. That God would provide peace and comfort to the suffering. For wisdom and strength for our church partners. That God would go before us to open doors and provide resources. For our team’s safety as they travel to the area.